Dole Rai Kishori Song is Sung by Sonu Nigam from Madhur Milan Bengali Movie. Music composed by Babul Bose And Bengali Song Lyrics written by Pulak Bandyopadhyay. Starring: Prosenjit Chatterjee, Rituparna Sengupta, Abhishek, Pallavi. 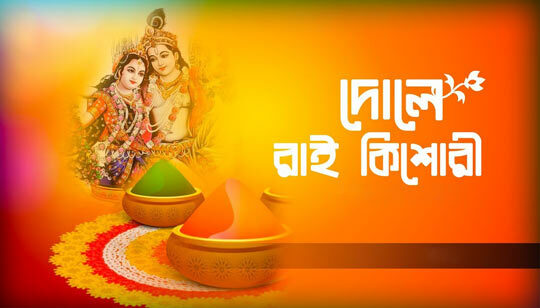 This Is A Holi And Dol Purnima Special Bengali Song.